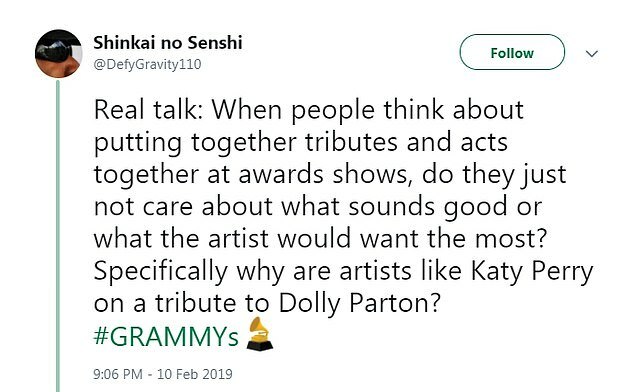 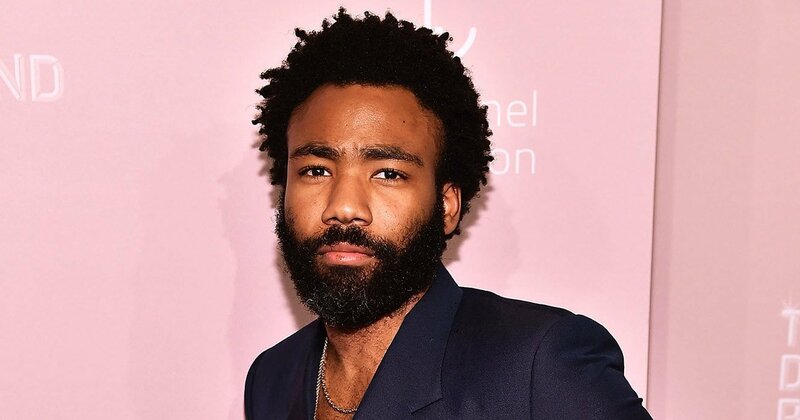 ‘Real talk: When people think about putting together tributes and acts together at awards shows, do they just not care about what sounds good or what the artist would want the most? 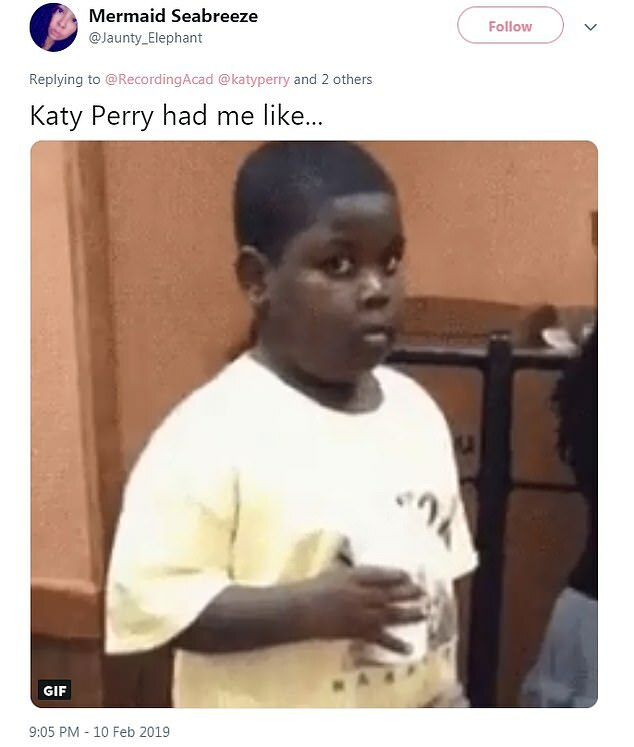 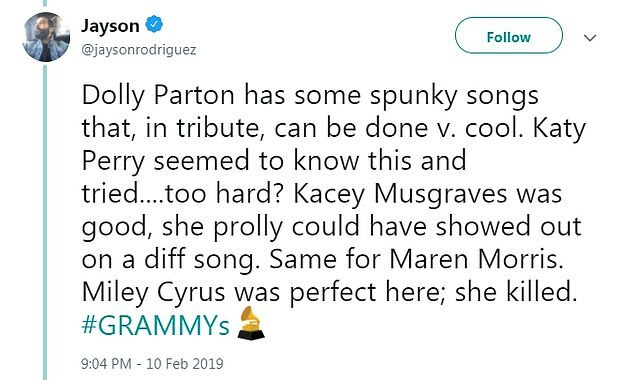 Specifically why are artists like Katy Perry on a tribute to Dolly Parton?’ one commenter wrote. 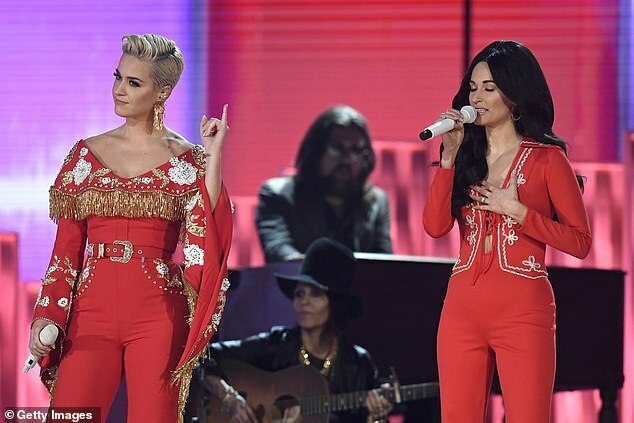 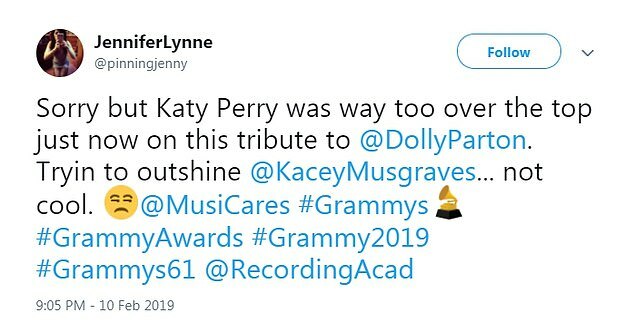 ‘They really put Katy Perry up there with Dolly Parton. 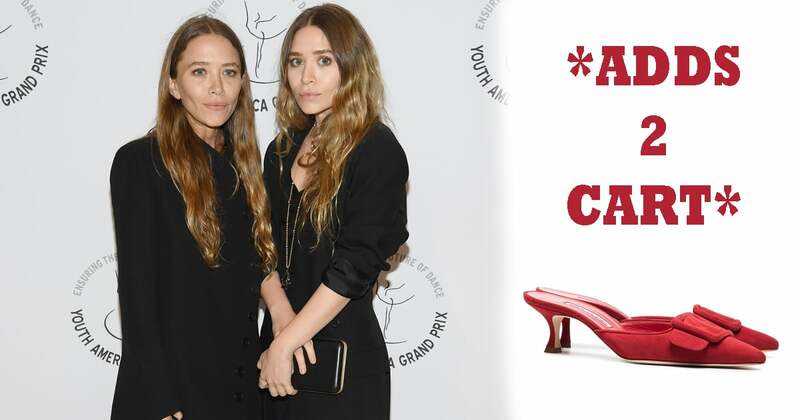 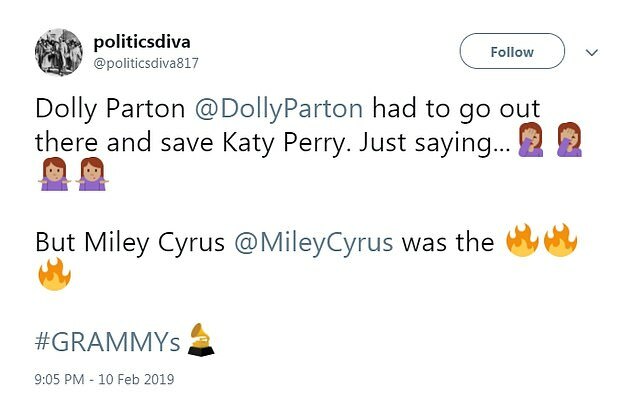 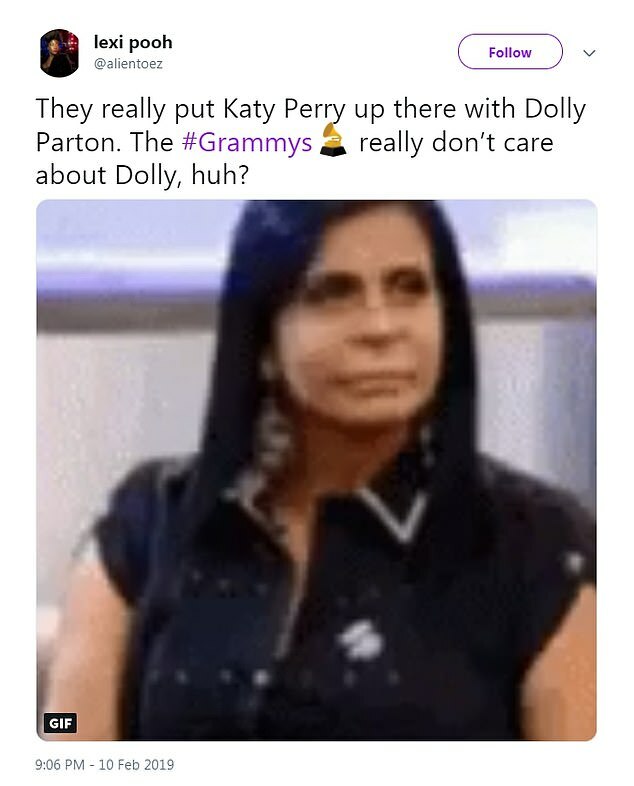 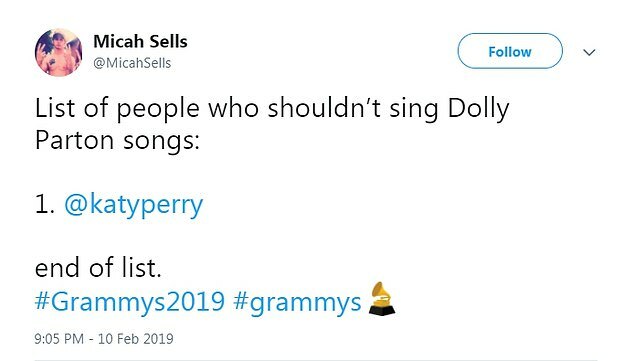 The #Grammys really don’t care about Dolly, huh?’ another quipped. 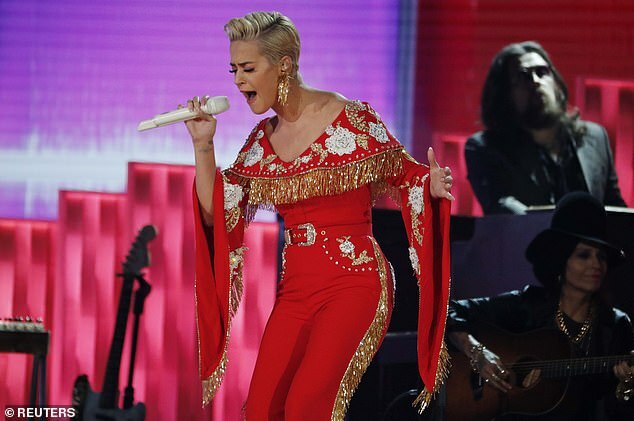 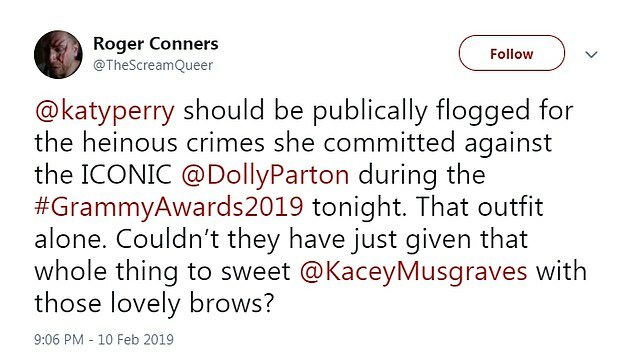 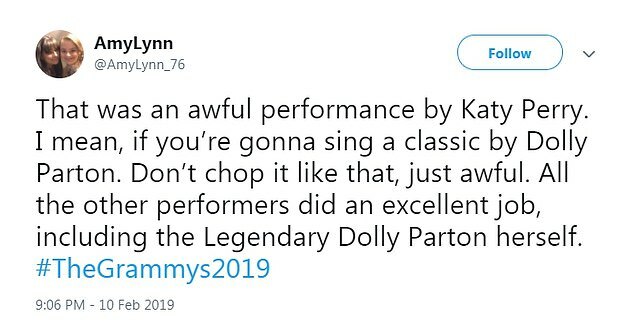 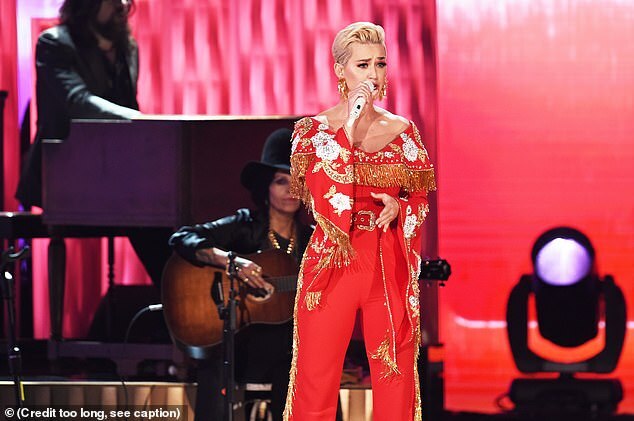 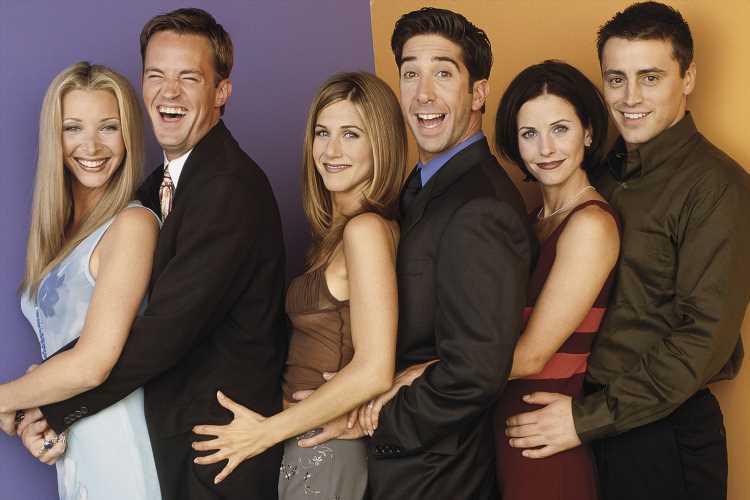 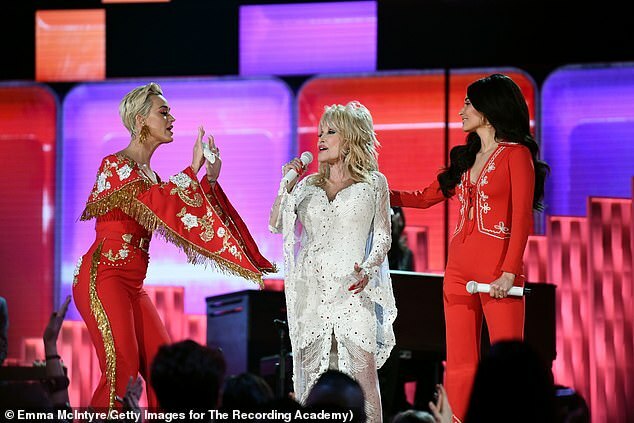 One viewer called Perry’s performance a ‘trainwreck’ while others claimed she ‘ruined’ Parton’s song.